As the control center for your heating and cooling system, your thermostat plays an important role, giving you the ability to create the perfect comfort level in your home. The advancement of technology in recent years has made it easier than ever to create that comfort level without sacrificing the efficiency and lower utility costs that come from keeping a close eye on your thermostat setting. With new digital thermostat and smart thermostat models, you can automate, program or manually take charge of the climate in your home with an unprecedented amount of accuracy. The newest programmable thermostats allow you the convenience of scheduling temperature adjustments to suit your daily routine in the way that is most energy and cost efficient way for you. Programmable, digital thermostats are an affordable option for those who want more accuracy and efficiency than older mechanical or electronic models offer but don’t need the customization levels provided by smart thermostats. 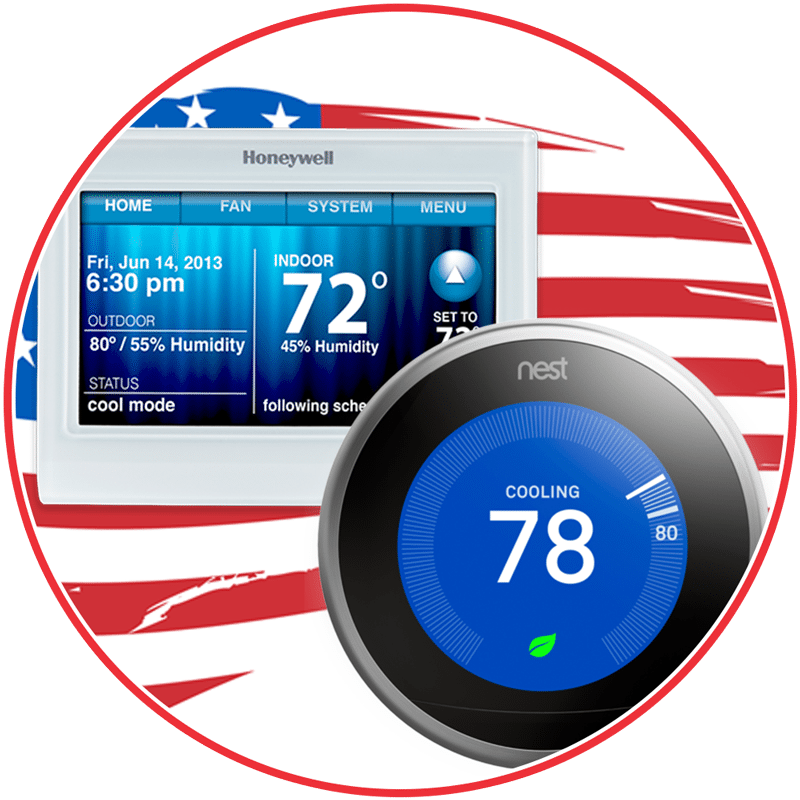 The most customizable and advanced thermostats currently on the market are smart thermostats, like the Honeywell Pro 9000 and Google’s popular Nest Thermostat. These impressive thermostats, which connect to your Wi-Fi, make controlling, programming, and monitoring the heating and cooling of your home as simple as opening an app on your smartphone - even when you’re not at home. Smart thermostats have a variety of settings that users can select to suit their preferences, from improving energy efficiency to notifying you of power outages when you are away from home. 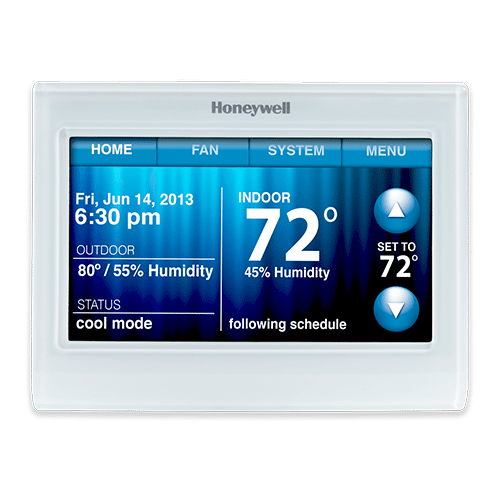 This Honeywell thermostat is an intuitive and easily programmable Wi-Fi thermostat, which can be controlled manually using its high definition touch screen display or from just about anywhere else with your personal smartphone or tablet, using their Total Connect Comfort app. 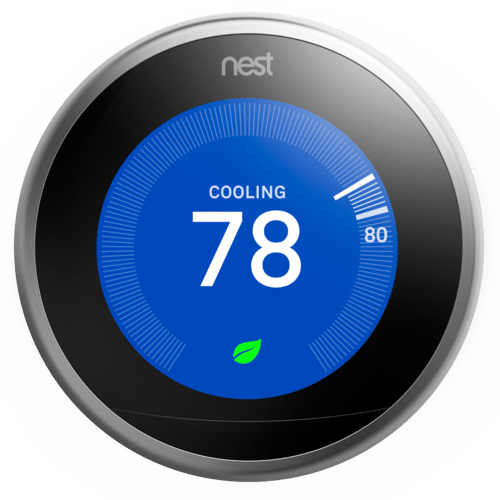 The Google-owned Nest thermostat is Energy Star certified, the first thermostat to be given this distinction, and has saved users an average of 10% to 12% on their heating and 15% on their cooling costs. The Nest Learning Thermostat can learn, adapt and program itself to suit your habits, automating your climate control with accuracy and convenience. Why Should You Contact Nexgen? With our main locations in Los Angeles, Anaheim and Palm Desert, Nexgen Air Conditioning, Heating, & Plumbing is proud to provide services to all of Southern California - from thermostat repair to replacements and new installations. We have been Google Certified for Home Services and all of our employees are background checked and verified. In addition to these qualifications, we also offer excellent Maintenance and Finance Plans, as well as our 12 year warranty - the best warranty you’ll find in the industry, giving you up to 12 years peace of mind. If you’re ready to upgrade your thermostat or have any questions about the process or the products we offer, including our special $395 Wi-Fi thermostat control, please give us a call today. We look forward to hearing from you.